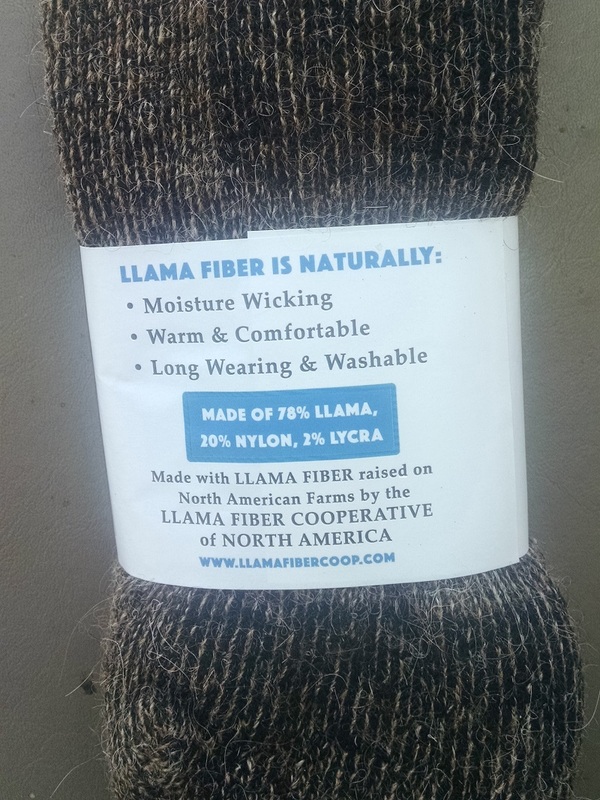 We are now members of The Llama Fiber Cooperative of North America! We will be offering amazing llama based products that you're sure to love!!! Amazing llama rugs!!! $18 per square foot!! PM for color options. Love, Love, Love!!!!! instock items may vary in color, pm or call and we can get you info on the current stock!! 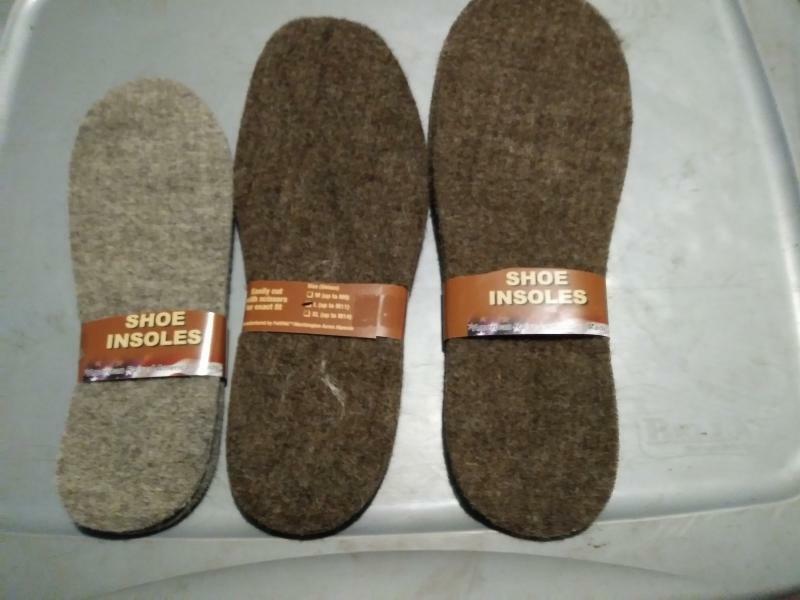 Insoles for your shoes will make your feet happy!!! Help add some heat to your winter routine! Sm, Med, and Lg. All are $15 each!!! 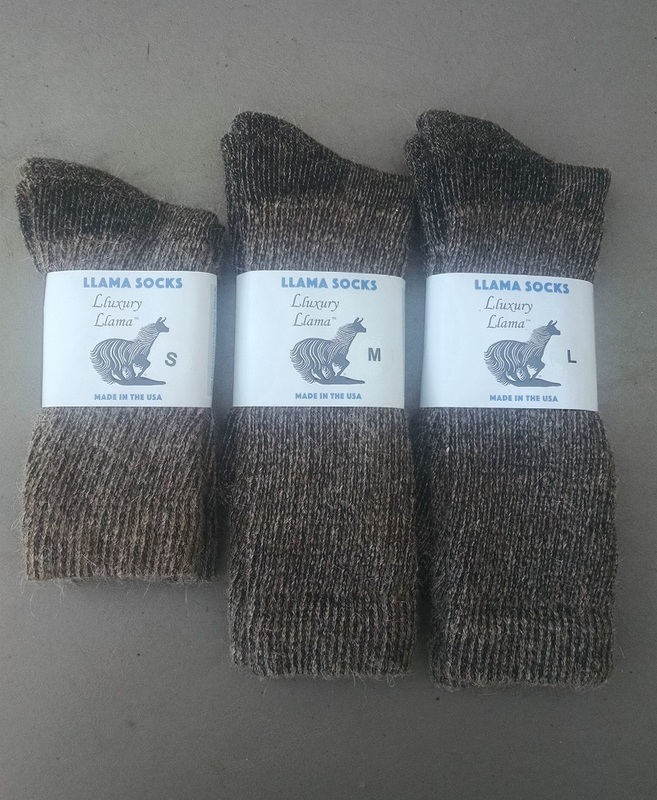 The Arctic socks are made of 70% llama fiber and 30% nylon. American Made! Terry loop on the inside and smooth knit on the outside -- almost as thick as two socks! Soft & Warm! Super quality! Product sales will have 6% Michigan sales tax added to them plus the actual cost of shipping USPS. Llama socks are the way to go! Llama fiber is a hair. It's hollow, not solid like sheep wool. 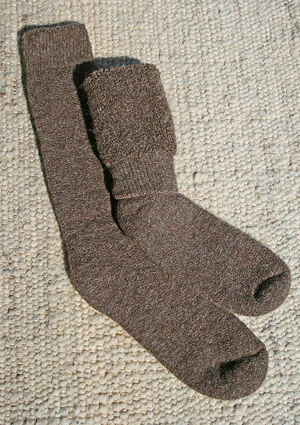 It insulates better and keeps your feet toasty warm!! Jason loves his in the winter while doing construction! 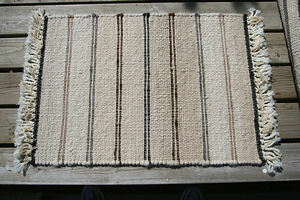 Natural fibers also help keep sweat off of your feet by making a barrier. Try them, you'll Love them!!! to reinforce the heels and toes. Made exclusively for us in the USA. 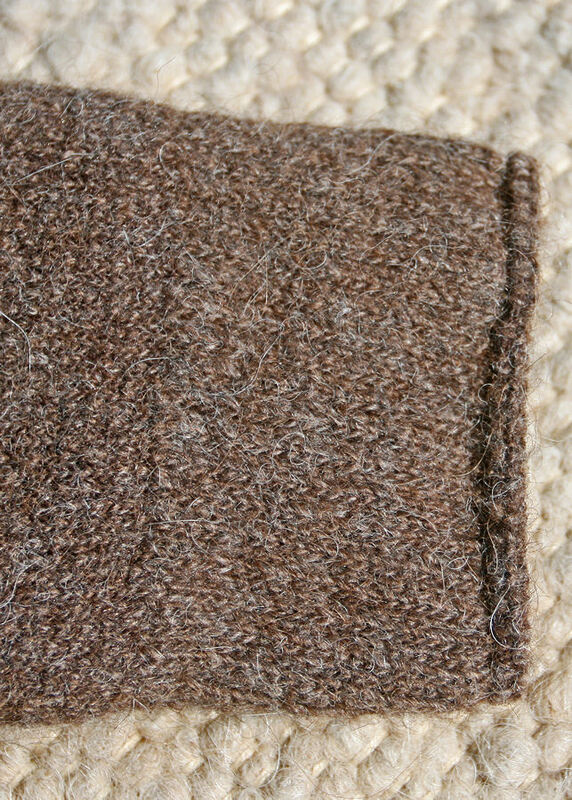 Natural llama colors (not dyed) -- brownish heather tweed. What an amazing way to spend a chilly evening! 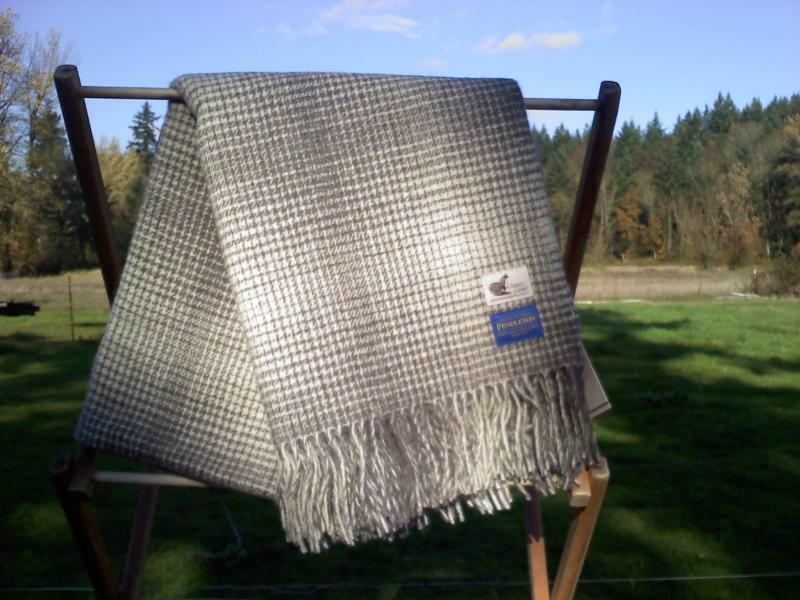 Wrap up in a llama blanket that has been produced at the Pendleton Woolen Mill. 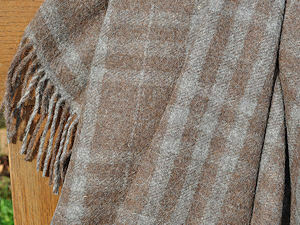 Luxury of the llama, with Pendleton quality! Copyright Fehrenbach Farms 2008. All rights reserved.